Patrick Nugent is a Senior Client Executive for Horton’s Benefit Solutions. In this role, Patrick is responsible for providing expert employee benefits consulting, bringing new clients on board, and servicing and retaining existing clients. He is part of a team of employee benefits-focused specialists dedicated to delivering innovative healthcare solutions to employers. 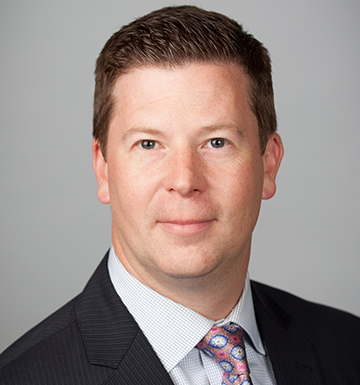 Before joining Horton in 2015, Patrick served as Vice President at the brokerage firm of David Danzig & Associates. Prior to this, Patrick held positions with insurance firms including Humana, Coventry, Destiny Health and Meeker Magner. Patrick’s career has spanned virtually every aspect of health insurance and employee benefits, giving him an invaluable understanding of actuarial philosophy, risk underwriting, claims escalation and wellness engagement planning. Patrick has also been engaged in strategic planning on how to reduce costs, influence proper plan utilization, help employees live healthier lives and use real-time activities to affect long-term outcomes. Patrick is committed to developing personal relationships with his clients and delivering service and solutions that will retain them as Horton clients for years to come. Patrick grew up in Glen Ellyn, IL, where he currently resides with his own family. In his time away from work, Patrick enjoys golf, hosting friends at cookouts, cheering on the Blackhawks, and working on his vintage Jeep.